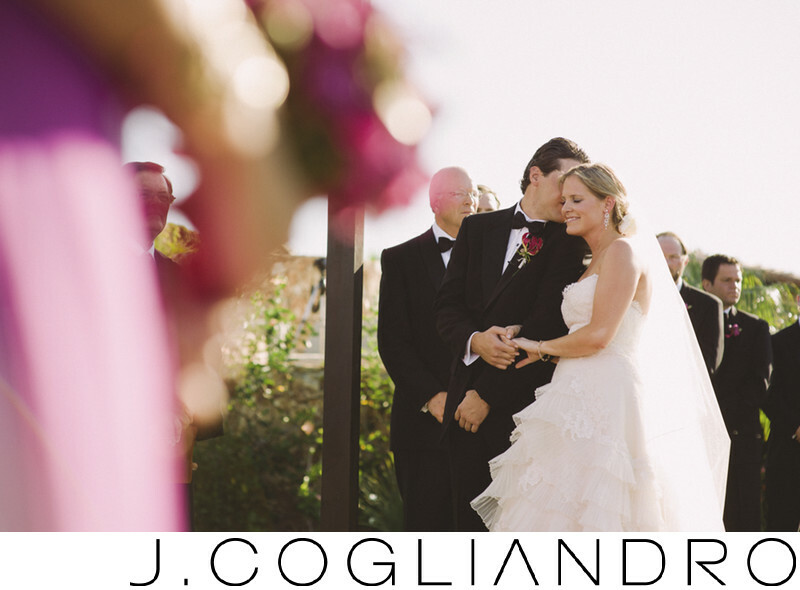 Beau lovingly whispers into his bride's ear during their ceremony at Querencia in Los Cabos, Mexico. Location: Querencia Golf Club, Querencia Blvd, Baja California Sur, Mexico. Keywords: 2012 (330), Destination Wedding: Los Cabos (183), May 19 (183), Mexico (183), One and Only Palmilla (339), Photographer: Joe Cogliandro with J. Cogliandro Photography (2883), Querencia (183), Rory and Beau (183), Westin (183).